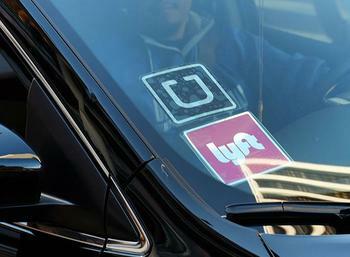 On Tuesday, San Francisco City Attorney Dennis Herrera sent subpoenas to Uber and Lyft demanding that the companies provide records of how drivers are classified, as well as records on driver pay and benefits. Herrera wants to make sure the ride-hailing companies are honoring a California Supreme Court ruling which requires that companies prove that their drivers are lawfully classified as independent contractors or, if they don’t meet that criteria, are being provided with appropriate benefits, such as minimum wage, sick leave, health care, and paid parental leave. "San Francisco's laws help ensure that employers provide a fair day's wage for a fair day's work," Herrera said in a statement. "We are not going to turn a blind eye if companies in San Francisco deny workers their pay and benefits." The subpoenas seek a complete list of drivers who began or ended at least one ride in San Francisco from 2015 onward, as well as documentation on their hours, wages, health care payments, and other benefits they received. The city is also seeking documentation showing how the companies classify the employment status of those drivers. Because Uber and Lyft drivers are classified as independent contractors, the majority don’t get paid time off and have to pay for expenses such as gas and car maintenance. Treating drivers as contractors allows the companies to avoid paying for costs such as benefits, overtime, and insurance. Herrera says that California is reshaping how the term “employee” is defined, and that regulators will ensure that companies like Uber and Lyft provide eligible workers with necessary benefits. “We don’t know whether these ride-hailing companies are breaking the law until they provide the information we seek in these subpoenas. We are going to ensure that these companies comply with the Supreme Court’s ruling and with San Francisco’s laws,” Herrera said. “We are going to ensure that these companies pay their drivers what they’ve earned."